A 106-year-old woman has lost her challenge in the European Court of Human Rights to the closure of her care home. This is a latest in a line of unsuccessful human rights challenges by care home residents facing similar scenarios. Are the courts providing enough protection to this vulnerable section of society? Louisa Watts, a 106 year-old resident of Underhill House, a care home owned and managed by Wolverhampton City Council, challenged the Council’s decision to close the home and move her to alternative accommodation. Her application for judicial review was refused, as was her appeal against that decision to the Court of Appeal. As a last resort, she took her case to the European Court of Human Rights on the basis that her Convention rights, including her rights to life and to respect for private life, had been breached. If there was any firm evidence that moving Mrs Watts was going to shorten her life, the decision would be quite different. It would be nothing to the point that she had already enjoyed a long and active life. Mrs Watts, like everybody else, is entitled to the full benefit of every day that still remains to her. It may be that the litigation, at least in its early phase, concentrated the minds of local authorities on the nature and extent of their duties towards care home residents who had to be relocated; but there has been no evidence before the courts in recent applications of which we have knowledge that these duties are being either ignored or violated. Nothing is wholly without risk, but so long as the councils do the best that can professionally be done to minimise identifiable risks to frail and elderly people in their care, the law had no immediate role to play. 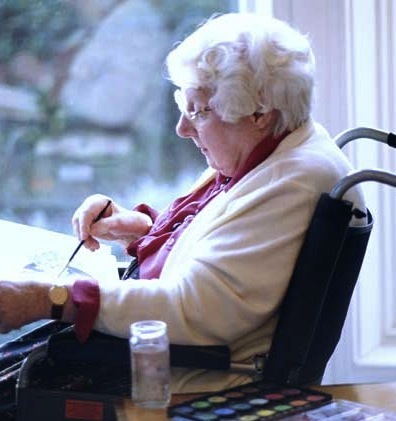 (v) Article 14 (anti-discrimination): Mrs Watts had suffered discrimination when compared to disabled residents of care homes. The Strasbourg court unanimously declared all of her complaints inadmissible. In respect of Article 2, the Court held that it was not persuaded by the general or specific medical evidence that there was a “particular and quantified risk to [Mrs Watts’] life as a result of the transfer”. However, it also concluded that a “badly managed transfer of elderly residents of a care home could well have a negative impact on their life expectancy.” This risk was sufficient to ensure that Article 2 was engaged. Article 2 places a number of obligations on the state, including a positive duty to take steps to protect the life of an identified individual when there is a real and immediate risk to it. It was this aspect of Article 2 that was engaged in Mrs Watts’ case and – by inference – in all cases in which elderly residents of a care home are to be moved. The duty imposed on the state in such circumstances is to take measures within their powers which, judged reasonably, might be expected to avoid that risk. The Council had engaged in a 12 week consultation period in which it had actively sought the views of residents, their families, carers, staff and interest groups. The Council had indicated a willingness to take any steps within its powers to facilitate transfers for residents and to ensure that they remained with their friendship groups. For Mrs Watts this included moving her to a more expensive placement in order to allow her to remain with friends. The Council moved Mrs Watts to a new home which was only three miles from Underhill House. The Council took into consideration individual assessments in respect of the residents that it moved, as well as the recommendation of Mrs Watts’ own expert psychiatric witness. The closure of Underhill House was part of a rationalisation of care for the elderly provided by the Council. Underhill House itself was a relatively old building that no longer met the requirements for a modern care home. The Court noted that with the passage of time buildings would become outmoded and/or dilapidated while the standards of care expected of care homes rose. In such circumstances a public authority could be criticised for not closing a home and moving residents. Turning to Article 8, the Court held that by moving Mrs Watts the Council had interfered with her private life such that the article was engaged. The question was, therefore, whether this interference could be justified. The Court’s approach is to look at three matters. First, was the interference lawful in the sense of being sanctioned by a provision of the domestic law? In Mrs Watts’ case there was no suggestion that it was not. Second, was the interference in pursuit of a legitimate aim? Again, it was not disputed that this requirement was met. Third, was the interference proportionate? After giving this matter some consideration, the Court held unanimously that it was. In addition to the factors listed above, the Court noted that Mrs Watts had, in general, settled in well to her new home. It also referred to the principle of the “margin of appreciation”, whereby the Court allows a state body a relatively broad discretion in its decision making in issues of general policy, including social, economic and health-care policies. The Court treated Mrs Watts’ other complaints briefly and firmly. In respect of Article 3, it held that there was no evidence that the stress and distress caused to Mrs Watts met the threshold to be considered as torture, inhuman or degrading treatment. On Article 6, it found that Mrs Watts had had recourse to judicial review proceedings, and that this was sufficient access to a court to meet the UK’s obligations. Finally, it noted that no evidence had been presented to it of a violation of Article 14 on the grounds of discrimination. The decisions of the domestic and Strasbourg courts in Mrs Watts’ case, and the judgment of the Court of Appeal in R (Turner and others) strongly indicate that if a local authority follows best practice when closing a care home and moving the residents, its decision will not be overturned by the courts either on traditional judicial review principles, or on the basis of a violation of Convention rights. What constitutes best practice is of course open to question and is liable to change. Further, future medical studies may re-open this issue if it is established that the risks to elderly people in such moves are greater than currently thought. However, at the moment, a council taking the steps that Wolverhampton City Council took in respect of Underhill House would seemingly be safe from a successful legal challenge. Too little legal protection for care home residents? Forcing people to leave the care home they live in can have a devastating effect on their physical and emotional health. Care home residents don’t have any tenancy rights and individual contracts with care homes give very limited security.